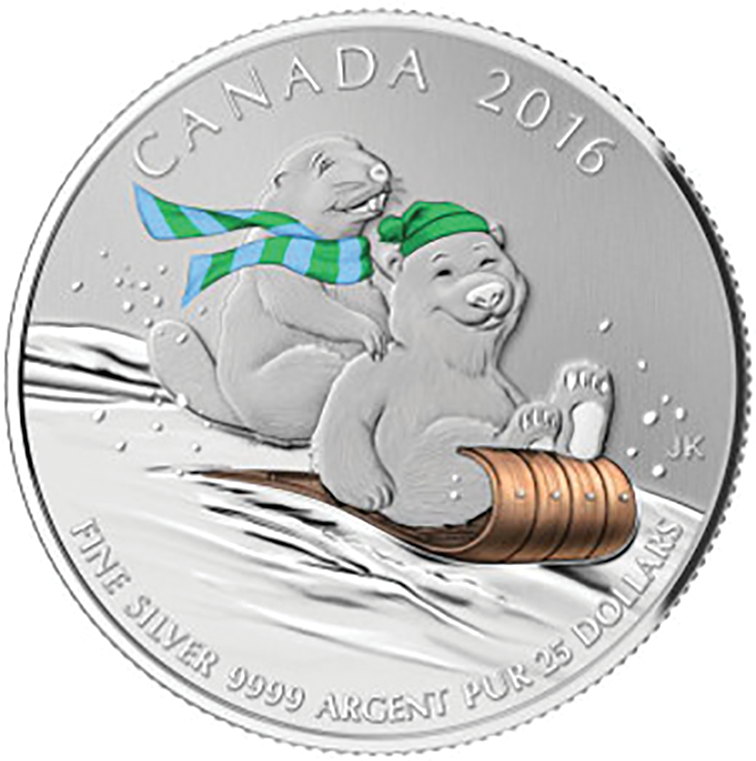 Struck by the Royal Canadian Mint, this $25 coin is all about one of Canada's favourite pastimes, sledding and on the sled are two of Canada's most beloved animals. So have a little bit of winter fun and add this to your silver collection. 0.999 silver and 27 mm in diameter. In uncirculated condition.